COLUMBUS, OH (November 25, 2016)– Columbus-based Thirty-One Gifts, a leading direct-selling company, is beginning its holiday giving with two key partnerships next week, helping to bring Christmas joy to children and families across the world. On Tuesday, November 29, Cindy Monroe, founder, president and CEO, will appear on the Today Show with a holiday delivery that will impact 150,000 lives. The company also is helping Christian humanitarian organization World Vision double the impact of donations on Giving Tuesday, November 29, by providing a match for every donation up to $2 million worth of products to help families in need around the world. Thirty-One appears for the fifth time on the Today Show through a partnership with the Direct Selling Association (DSA), and represents the industry with their donation. The contribution this year is valued at $5.5 million and puts the company well over 1 million products donated, making them one of the largest donors in the history of the toy drive. 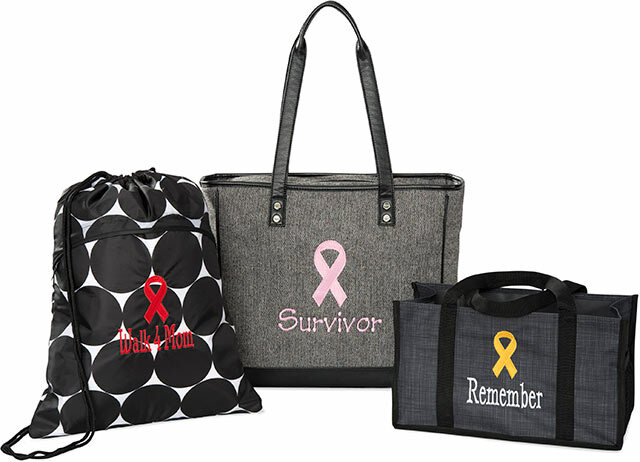 The donation comprises various styles of totes, pouches, thermals and more, and puts Thirty-One’s Today Show contributions to-date at more than $44 million worth of products. "The Today Show has become a tradition with us and we’re very honored to represent the Direct Selling Association each year,” said Monroe. “Giving is part of who we are, and we’re proud to support the toy drive, which aligns with our mission to serve and support girls, women and families." Through Thirty-One Gives, the company’s philanthropic initiative, they’ve donated more than $90 million in cash and products to nonprofit organizations that align with its mission. Thirty-One's support of World Vision is the third year the two have partnered on Giving Tuesday, November 29. This year the company is doubling its donation match with a $2 million product commitment. The matching of donations to World Vision will impact families around the world. Giving Tuesday, the Tuesday after Thanksgiving, is a day devoted to charitable giving, volunteering and advocacy, in response to the consumer focus of Black Friday and Cyber Monday. The products Thirty-One is donating include sturdy utility tote bags and warm clothes that can provide much-needed help in the winter months to vulnerable families in Africa, eastern Europe and Central America. "Through our partnership with World Vision we’re able to reach out worldwide, to areas with critical needs," said Monroe. "We’re able to help teachers and health-care workers, new babies and mothers, and stretch our impact further." Donations to World Vision on Giving Tuesday may be made at their website, www.worldvision.org. COLUMBUS, OH – Columbus-based Thirty-One Gifts is beginning its holiday giving with two key partnerships next week. Tuesday, December 1, Cindy Monroe, founder, president and CEO, will appear on the Today Show with a holiday delivery that will impact 150,000 lives. The company also is helping Christian humanitarian organization World Vision double the impact of donations on Giving Tuesday, also December 1, by providing a match for every donation up to $1 million of products – blankets and totes – to help families in need around the world. The contribution this year is valued at $5.5 million and puts the company over the 1 million product donation level, making them one of the largest donors to the toy drive. The donation comprises various styles and products, and puts Thirty-One’s contributions to-date at more than $36.4 million worth of products. The gifts will be delivered to 68 charities in 23 states by many of Thirty-One’s 85,000 sales consultant leaders during the holidays. Through Thirty-One Gives, the company has donated more than $80 million in cash and products since 2012 to nonprofit organizations that align with its mission. Thirty-One’s support of World Vision is the second time the two have partnered on Giving Tuesday. Its match of donations to the World Vision catalog will impact families around the world. “This partnership is a great opportunity to share our hearts and mission to give women the opportunity for a better life, to impact families in need, and further the reach of World Vision,” said Monroe. Earlier this year, World Vision distributed Thirty-One Gifts utility totes to volunteer health educators Burundi and blankets to new mothers in Somalia who used them as receiving blankets for their babies. In Burundi, when malnourished children are discharged from intensive feeding centers, these local volunteers travel around to the homes to visit the children and monitor their health and progress. Before receiving the Thirty-One Gifts totes, the volunteers had to carry all their materials and equipment by hand and materials would often get dirty or wet when it rained. The colorful bags help keep the teaching materials clean and make it easier for the women to visit each home. COLUMBUS, OH — We’re excited to announce Mallorie Meneley from Ooltewah High School’s class of 2015 as the winner of the Cindy Monroe Values & Vision Scholarship! This scholarship was created to honor a girl in the Chattanooga area – where Founder, President & CEO Cindy Monroe was born and raised – and also where Thirty-One Gifts was founded. The winner should embody Cindy’s core values of building relationships, leadership and community service. Mallorie truly exhibits these qualities and shares Cindy’s passion for dreaming big and helping others! Mallorie will receive $3,100 annually, for a total of $12,400, to support her four-year college degree at the University of Tennessee at Knoxville. With a 4.0 GPA, Mallorie is excelling in the classroom, and she is equally focused on philanthropic efforts too. She is passionate about overseas missions, having participated in a summer mission trip each year since starting high school. She has gone to the Republic of Panama for three summers with the Fellowship of Christian Athletes. Mallorie says, “These trips are so special to me because not only do we go to share the love of Christ, but we raise money to buy the villagers groceries, raise money for certain construction projects, and we spend time playing with and putting on a program for the kids. Flying overseas every year to come visit with the Panamanians means something to them. They want to know what was so important that we came all the way from Chattanooga, Tennessee. “It is so great the opportunities we are given by traveling there,” she continues. “Along with gospel-sharing opportunities, we have been able to build benches for a local church, construct roofs and dig holes for plumbing, and be a part of a bridge-building project that allows a village to get to school in the rainy season. Thirty-One Gifts, the Columbus, Ohio-based direct sales organization, is announcing they are expanding into seven additional Canadian provinces, beginning April 7. Thirty-One currently is operating in Ontario and Alberta, and now will add British Columbia, Nova Scotia, Manitoba, Saskatchewan, Prince Edward Island, New Brunswick, and Newfoundland and Labrador. With the expansion, they will be operating in nine of the ten provinces in the country. “We’re expanding further into Canada, thanks to the amazing growth and success we’ve experienced so far in Ontario and Alberta,” said Thirty-One Founder, President and CEO Cindy Monroe. Thirty-One was founded in 2003 and began selling in Ontario, Canada, in 2012. In February this year they expanded into Alberta, Canada. There are now 99,509 independent sales consultants in the U.S. and 3,050 in Canada, for a total of 102,559. The company will offer its entire product line, including personalized home organization products and totes, its new Jewell by Thirty-One line of premium faux leather purses and wallets, and a new line of artisan jewelry called JK by Thirty-One. Interested parties may apply beginning at 7:30 p.m. (PST) each night. At the events, attendees will get to connect with both the home office team and existing Thirty-One consultants, learning more about Thirty-One Gifts and what it means to join their family. New consultants in Canada must join the team of a current Canadian consultant. Snyder explains the company has been cautious about moving into Canada, and took time to build relationships and establish a brand identity in Ontario, which has by far the largest population. They are building on the leadership developed in that area and relationships to build the brand in other provinces. “We were created to give women an opportunity to own their own business and earn extra income,” said Snyder. “Independent consultants may work as much or as little as they wish, and many women in Canada are now exploring the Thirty-One opportunity and finding a fulfilling, enjoyable way to supplement income,” said Snyder. Those interested in learning more about Thirty-One Gifts in Canada, finding a consultant, hosting a party or purchasing products may visit the website at www.thirtyonegifts.ca or connect with a consultant whom they already know. Thirty-One Gifts is one of the leading direct-selling companies in the U.S., the fastest-growing woman-owned company in the world, and the 17th largest direct-selling organization in the world. The distinctive functional products range from personalized home organization solutions to the Jewell by Thirty-One fashion line that includes premium, functional faux leather purses, pockets and wallets, and the JK by Thirty-One line of artisan jewelry. Products are sold through more than 102,000 independent sales consultants via home parties. The company was named for Proverbs 31, a chapter of the Bible that celebrates hard-working women who are compassionate, gracious and inspiring to their families and the people around them. 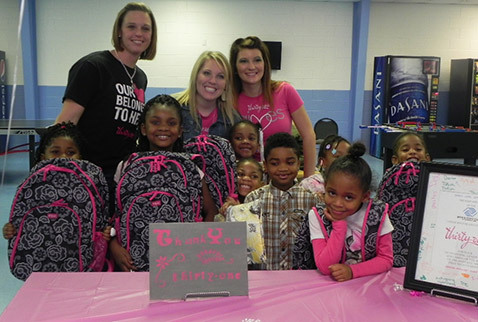 One of the strongest values at Thirty-One is giving back to the communities where its employees and sales Consultants live and work by supporting three key pieces of their heart – girls, women and families. Since forming its philanthropic initiative, Thirty-One Gives, in 2012, the company has donated more than $36 million in product and cash to support the mission. We’re so happy to welcome JK to the Thirty-One family! Formerly known as Jewel Kade, this fashionable and affordable line of jewelry – now called JK by Thirty-One – will be part of our product offering beginning in March 2015. Also joining our family are the many JK Stylists who helped make these pieces so popular through their own successful businesses. Jewelry is part of the Thirty-One heritage, and by introducing these gorgeous styles we’ll be returning to our roots. You’ll be able to shop some Jewel Kade best-sellers plus brand new styles created just for JK by Thirty-One. These beautiful pieces will give you another way to celebrate your style and personalize your look, and they make great gifts too. Want to know more? Click here to connect with a Consultant now! Thirty-One Gifts is expanding to Alberta! Thirty-One Gifts was founded on the belief in celebrating, encouraging and rewarding others for who they are, and that mission is at the center of everything we do as a company. Our Consultants are encouraged to empower themselves by building strong relationships that help create successful businesses, and friendships that last a lifetime. We originally brought Thirty-One Gifts and all our values to Ontario, Canada, just over two years ago. Now, with the expansion into Alberta, we’re excited to extend the opportunity to even more women in Canada. Anyone who lives in Alberta is welcome to join our family beginning February 10, 2015. Our entire product line, including Jewell by Thirty-One and JK by Thirty-One (coming this spring!) will be available to Customers and Consultants in Alberta. Cindy Monroe, Founder, President and CEO of Thirty-One Gifts, in her appearance on “The TODAY Show,” announces our donation to the 21st annual TODAY Show Toy Drive. To view photos and video, check out thirtyonegifts.com/today. The donation of 250,000* products is one of the largest TODAY Show Toy Drive donations in the country. With this year’s give, we’ve donated more than 1 million items, totaling $24 million in product. Thirty-One Leaders are helping distribute products to select organizations throughout the country. Partnering with the TODAY Show Toy Drive has become a holiday tradition for Thirty-One Gives, the charitable initiative of Thirty-One Gifts. To learn more about the programs we support, check out thirtyonegives.org. *Thirty-One Gifts LLC's maximum donation will be 250,000 products. 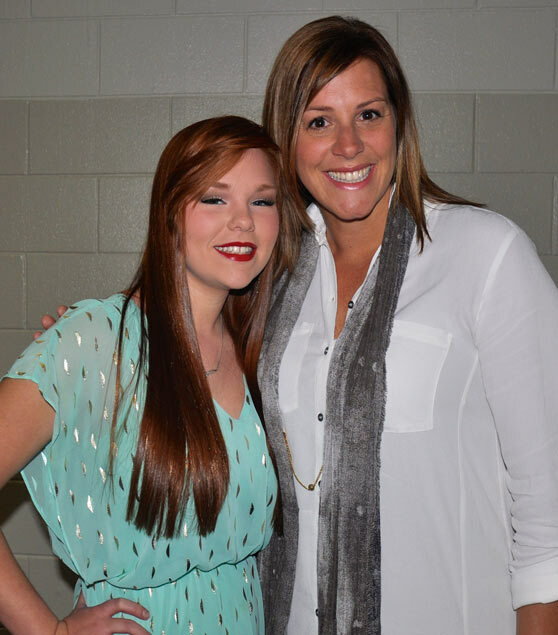 We’re excited to announce Savannah Bennett from Ooltewah High School’s class of 2014 as the winner of the Cindy Monroe Values & Vision Scholarship! This scholarship was created to honor a girl in the Chattanooga area – where Founder, President & CEO Cindy Monroe was born and raised - and also where Thirty-One Gifts was founded. The winner should embody Cindy’s core values of building relationships, leadership and community service. Savannah truly exhibits these qualities and shares Cindy’s passion for dreaming big and helping others. As our first-ever scholarship recipient, Savannah will receive $3,100 annually, for a total of $12,400, to support her four-year college career in creative writing at the University of Tennessee at Chattanooga. With a 3.95 GPA, Savannah is excelling in the classroom, and she’s equally focused on philanthropic efforts, too. When her mother was diagnosed with breast cancer in 2008, Savannah was there by her side through the worst times. After her mother fully recovered, Savannah was inspired to help start a philanthropy committee through her dance team to support those going through a difficult experience. Every year they adopt a family with a parent who is suffering from terminal cancer or has passed away from cancer. They provide Christmas presents, birthday celebrations and many other needs for the family. “My mother and I started this because we did not want anyone to go through the financial hardships that our family suffered as a result of my mom’s diagnosis,” Savannah said. We are thrilled to announce Ronald McDonald House Charities® (RMHC®) as our national mission partner to help support families across the country! RMHC is a nonprofit that creates, finds and supports programs that directly improve the health and well-being of children. Through its core program, the Ronald McDonald House Charities®, the charity helps families stay together, close to their sick children, which helps them in the healing process. Many Thirty-One employees and sales Consultants also have accessed RMHC programs and services in times of need. 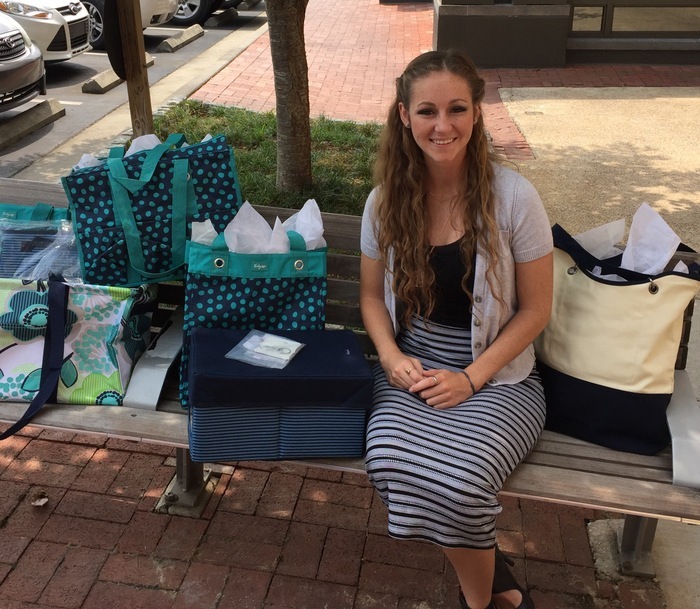 Through our philanthropic initiative, Thirty-One Gives, we will make a $450,000 monetary donation to RMHC over three years, and donate 150,000 Organizing Utility Totes as "Welcome Bags" for families staying at Ronald McDonald Houses in the U.S. Part of our support also includes our independent sales Consultants volunteering at the houses in their local communities to help make families more comfortable during what can be a trying time. We also are thrilled to announce our exclusive Red Wave Thermal Tote, available in the 2014 Spring Catalog, to celebrate the 40th anniversary of RMHC. For every exclusive Red Wave Thermal Tote purchased, a portion of the proceeds will benefit RMHC, and RMHC will direct 75 percent of those proceeds to local RMHC/RMH Chapters. Thirty-One Gifts sales Consultants volunteered at the Chattanooga Ronald McDonald House by preparing dinner for families staying there. The following trademarks used herein are owned by McDonald’s Corporation and its affiliates: Ronald McDonald House Charities, Ronald McDonald House Charities logo, RMHC, Ronald McDonald House, Ronald McDonald Family Room, and Ronald McDonald Care Mobile. Cindy Monroe, Founder and CEO of Thirty-One Gifts, made an appearance on “The TODAY Show” this morning to announce our donation to the 20th annual TODAY Show Toy Drive. To view photos and video, check out thirtyonegifts.com/today. The donation of 250,000* products is one of the largest Toy Drive donations in the country. With this year’s give, we’ve donated more than 750,000 items to date. Thirty-One Consultants are helping distribute products to select organizations throughout the country. We thank all the Thirty-One Consultants who participate in our Consultant GOGO (Get One, Give One) Outlet Sale to help make this donation possible! 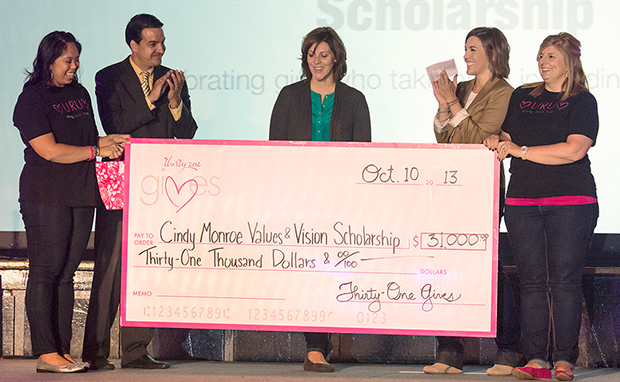 To celebrate the 10th Anniversary of Thirty-One Gifts, the company’s philanthropic fund – Thirty-One Gives – announced the Cindy Monroe Values & Vision Endowed Scholarship with a $31,000 investment. This donation will be used to support the development of girls in the Chattanooga, TN, community where Founder & CEO Cindy Monroe was born and raised, and also where the business was founded. Each year, the Cindy Monroe Values & Vision Endowed Scholarship will honor a girl in the Chattanooga area who embodies Cindy Monroe’s core values of building relationships, leadership and community involvement. The chosen applicant will receive an annual $3,100 scholarship for four years, totaling $12,400 to support her college career. Introducing Thirty-One Gives Care Ribbons! We're excited to introduce a new personalization option to help you share how much you care and raise awareness for the cause closest to your heart. Add a Thirty-One Gives Care Ribbon to one of your favorite Thirty-One styles for $10 with text or $7 without text. Ribbons are available in every thread color offered in the Fall Catalog, and for every ribbon purchased, 31 cents will be donated to Thirty-One Gives to support our mission to empower women and girls and strengthen families. To purchase a product with a Thirty-One Gives Care Ribbon, find a Consultant. For every product purchased during the Outlet Sale, Thirty-One Gives will donate one of our products to The Today Shows’ 20th Annual Holiday Toy and Gift Drive, up to 250,000 items! We call it GOGO: Get One, Give One. Get birthday presents, organize your home and update your look, all while helping someone less fortunate have a happier holiday! We know first-hand the importance of a good home – our Founder & CEO, Cindy Monroe, started Thirty-One 10 years ago in the basement of her own home. Through our philanthropic initiative, Thirty-One Gives, we’re thrilled to pay forward the many blessings we’ve received as a company. Our mission to empower women, strengthen families and change lives aligns perfectly with Habitat for Humanity’s goal to support communities and give everyone a place to live. By partnering with Habitat for Humanity, 40 Home Office employees will help build a home for a local family and proudly support the female homeowner. Habitat for Humanity’s Home of Hope is the first-ever build of its kind (five-day blitz build) in our community. Together, we can strengthen our community. Learn more about this partnership at the Gives website. Proudly sporting their pink hard hats, Thirty-One home office employees helped build a home for first-time homeowner Christine Travis, empowering her with the tools she needs to raise her family. From laying sod and flooring, to hanging doors and cabinets, to installing siding and porch railings, the pink power was truly undeniable at the first-ever Habitat for Humanity MidOhio Home of Hope Blitz Build! What an emotional night to be able to celebrate with Christine Travis and her nieces as they get the keys to their brand new home! The Home of Hope wouldn’t be complete without Thirty-One Product! Destiny and Alicia celebrate their very own personalized spaces. 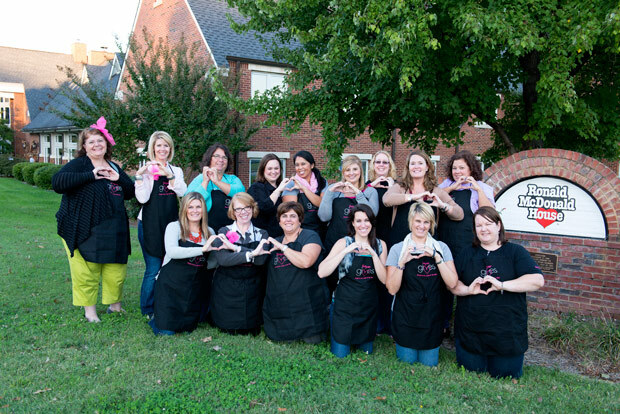 Thirty-One has experienced amazing growth during the last 10 years, and people across the country are taking notice. Direct Selling News, a monthly magazine focused on the direct selling industry, recently featured both Thirty-One Gifts and Thirty-One Gives in a four-page article that highlighted our incredible success story. Thirty-One Founder & CEO Cindy Monroe was interviewed to discuss our growth and our company’s mission, while Wendy Bradshaw, the Director of Philanthropy and Events, shared details about our philanthropic initiative, Thirty-One Gives. Bradshaw discussed our new partnership with Girl Talk, along with many of the other causes Gives has supported since its launch in February 2012. Read the full Direct Selling News article here. To help us carry out our mission of celebrating, encouraging and rewarding women and girls across the country, we proudly partner with nonprofit organizations that share our goals. This month we’re happy to announce a new national mission partner, Girl Talk! Girl Talk is a peer-to-peer mentoring program in which high school girls help middle school girls overcome the challenges associated with the early teenage years. We’re hoping to raise $50,000 to donate to Girl Talk, and you can help us reach our goal! Get the Details. Through this partnership with our Thirty-One Gives initiative, a portion of the proceeds from every U R U Gives Round Up! purchase will be donated to Girl Talk to help them reach more girls across the country. Learn more about the Gives initiative and our new relationship at the Gives website. As a result of our Consultant GOGO (Get One, Give One) Outlet Sale, we donated 250,000 products to the Today Show Toy Drive. That’s more than $7 million worth of products! In partnership with the Direct Selling Association, we matched every Consultant purchase during the sale, donating one product for every purchase. After the sale, more than 130 Thirty-One leaders helped us spread holiday cheer and distribute the products through 74 charities spread across all 50 states. As part of our November Customer Special, for every Medium Utility Tote purchased, we donated one Thermal Tote to Operation Homefront, an organization dedicated to helping military families and wounded warriors. To show our sincere gratitude for the sacrifices they make on a daily basis while protecting our freedom, we were able to donate 250,000 thermals. To all the families of everyone who is serving or has served in the military, thank you for everything you do! The Monroe family partnered with some of our senior leaders and The Salvation Army to give back to the Franklin Women’s Shelter in New York City. 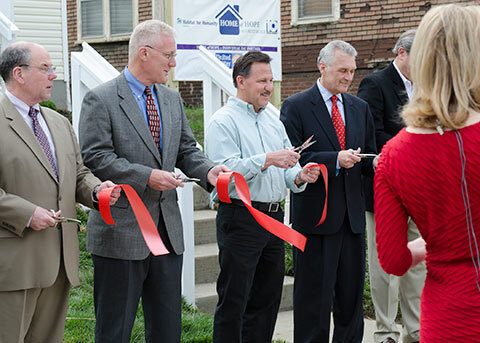 The shelter helps homeless women get back on their feet to secure and sustain permanent housing. Cindy, Scott, their children and our leaders prepared dinner for shelter residents, plus helped with resume writing and organized the common area with $100,000 worth of Thirty-One products. They also left holiday gifts for residents of the shelter to open on Christmas. This year Thirty-One Gifts became the first direct-selling company to form a national Heart Walk team in support of the American Heart Association. Through our charitable initiative, Thirty-One Gives, more than 3,800 Consultants and Home Office employees participated in over 60 Heart Walks across the country, raising more than $190,000 to support the fight against the #1 killer of women, heart disease. Heart disease affects many of our Consultants, Customers and Home Office employees, so we were very excited to raise awareness and funds for research to save the lives of women across the country. "We are proud to be a part of the DSA and have enjoyed our partnership with the DSA and the Today Show Toy Drive for several years," said Wendy Bradshaw, Director of Philanthropy for Thirty-One Gives. With last year's contribution, Thirty-One was honored to learn they provided one of the largest donations in the Today Show Toy Drive history. This year, the generous donation was made possible due to Thirty-One's GOGO (Give-One-Get-One), Consultant-Only outlet sale. Thirty-One matched purchases 1 to 1, up to 250,000 products, and will donate a Backpack, Thermal Tote or similar item. "We want to show our appreciation to Thirty-One Gifts for their wonderful contribution to our Toy Drive. It surpassed our expectations not only in the number of gifts, but in the genuine philanthropic spirit that the organization fosters," says Sam Sagenkahn, Project Director for the Today Show Holiday Gift Drive. In celebration of National Right to Read Week, the I Know I Can organization asked Thirty-One's Chief Brand Officer, Scott Monroe, to join other local celebrities in reading to second-grade classrooms. Scott read the children's book I Know I Can, which is a heart-warming story that teaches students the importance of dreaming big and working hard, while also showing them the way through the career, skill and interest explorations of the book's characters. Students had the chance to ask Scott about his college experience and how it prepared him for his role at Thirty-One. Scott encouraged the children to stay in school, study hard and to get a college education for successful futures. Learn more about the I Know I Can organization. For the past 100 years, Girl Scouts of the USA has been building girls of courage, confidence and character, and Thirty-One is joining them in the celebration. Thirty-One is proud to be a Centennial Sponsor of Ohio's Heartland Girl Scout Council where Cindy Monroe, Founder and CEO, serves as an Honorary Board Member. To further celebrate our centennial celebration partnership, the Girl Scouts and Thirty-One hosted the event "Belief is in the Bag": a night of inspiration and fun at Thirty-One. Over 250 local Girl Scouts and their leaders enjoyed belief-building activities, a facility tour and a heartfelt message of empowerment and self-confidence from Cindy. Cindy encouraged the girls, telling them that they have a place in the boardrooms of tomorrow and that it takes believing in yourself and the support of friends and family to get there. Learn more about getting involved with Girl Scouts in your community. Empowering women. Strengthening families. Changing lives. Thirty-One's Founder & CEO Cindy Monroe, Chief Branding Officer Scott Monroe, Director of Philanthropy Wendy Bradshaw and some of Thirty-One's other senior leaders were in the Big Apple December 16 for Thirty-One's NBC Today Show Toy Drive appearance. As part of this special Gives trip, the group gathered at the Dress for Success Worldwide headquarters to organize and pack up Cindy Totes and scarves to donate to all the organization's affiliates across the country. Each tote included an inspirational note to empower women to reclaim their lives while feeling supported and celebrated. Our Thirty-One senior leaders felt blessed and humbled to be part of an effort that would help and inspire thousands of women from coast to coast. Thirty-One's Founder & CEO Cindy Monroe was on NBC's Today Show on Dec. 16, to present the company's donation of more than 250,000 products to the Today Show Toy Drive. This is the largest donation the Today Show Toy Drive has ever received! Thanks to the support of our Consultants and Customers, we are helping thousands of families in need. We couldn't have done it without their support! Thirty-One featured as "The Next Big Thing"
The Columbus Dispatch featured Thirty-One's booming growth, National Conference and our amazing Founder & CEO Cindy Monroe in a recent article. The article was featured on the front page of the business section and truly celebrates the Thirty-One opportunity. We have so much to be proud of as a company, and we owe it all to our passionate Consultants, Customers and dedicated employees. Read the Columbus Dispatch article here. Direct selling is an industry that is changing the way people do business and providing millions of individuals around the world with the opportunity to own their business and determine their level of success. Thirty-One is a direct selling company and we are proud to be a member of the Direct Selling Association. Learn more about the industry and the opportunities waiting for you. The direct selling industry has rich history that parallels the achievements and struggles of the American landscape. We welcome you to explore the 100 year history of the Direct Selling Association. Let's Celebrate Two Million Blessings! Our growth is beyond phenomenal! On November 30, 2010, we announced that we'd shipped our one millionth order. Now — only five months later — we're thrilled to share that we recently shipped our two millionth order! Members of our Distribution Center staff are all smiles as they gather together to share the moment! We've reached this amazing milestone because of our outstanding Independent Consultants! Please join us in celebrating our latest blessings — all two million of them! We are excited to announce that Cindy Monroe has been named one of Central Ohio's "Forty Under 40" by Columbus Business First Newspaper. This annual award recognizes 40 individuals under age 40 who show professional drive and give back to their community. "This is truly an honor and a blessing," Cindy said. "I'm humbled to be considered among such talented men and women in our community." Cindy credits our passionate and dedicated Thirty-One Consultants, Leaders and employees for the company's growth and success. Thirty-One's Founder & CEO Cindy Monroe made a guest appearance on NBC's Today Show with Cathie Lee Gifford and Hoda Kotb on December 1, 2009 to donate more than 30,000 thermal totes to the Today Show Toy Drive. Thirty-One strongly believes in sharing the blessings and paying it forward.